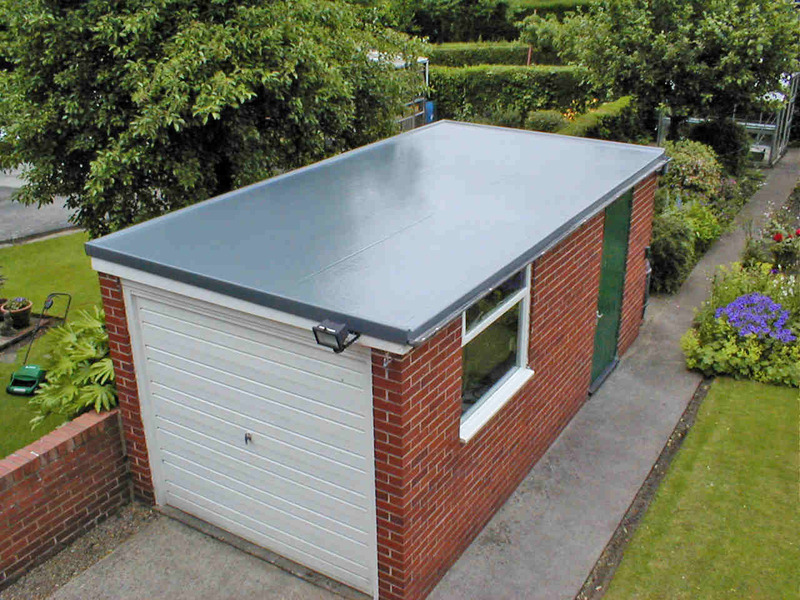 There was a time when homeowners avoided flat roofs because of the negative reputation associated with this type of roof. Water ponding and leaks are the most common problems for flat roofs. Water tends to pool on the roofs, which ultimately cause water to seep into the interior of the house and ruin furniture and valuable materials inside. The usual cause of leaks is damaged or improperly-installed waterproofing layers at the top of the roof. Damaged or cracked concrete tiles may also be the cause. Flat roof solutions, however, are available to patch up these cracked and leaky roofs. Just follow these steps in identifying and ultimately solving the problem. Homeowners normally fail to notice problems on their roofs until a leak occurs. A wet spot on the carpet or floor does not indicate that the leak occurred directly above. Water has the tendency to zigzag as it winds down various layers of the roof. Better to go up and inspect the roof and look for occurrence of ponding, where water gathers in one area of the roof. Once you identified the exact location of the crack, you are ready to fix the problem. Check what the weather will be in the coming days before performing any actual work. Repairing cracked roofs require dry weather for the sealants, paints, cements and adhesives to properly stick to the surface. Furthermore, allow for a few days of dry and sunny weather before commencing work to make sure the roof is dry. The first thing you have to do is check the condition of the concrete tiles, which tend to break with the passage of time. They may also be damaged by hail and ice or through human intervention, as when people repairing other areas of the roof inadvertently stepped on and damaged weak tiles. The best way to fix the problem is to replace the cracked tiles with new ones. A common source of leakage often overlooked by homeowners is exposed nails. Re-caulking them should solve the problem. If cracks appear on the flat concrete roof itself, just apply roof sealant on the cracked portion. The sealant has waterproofing qualities that effectively eliminates the seepage of water. This method works best if the cracks are small and isolated. However, if the cracks are larger and the gaps wider, the application of roofing cement or mortar on the cracks is advisable before coating them with elastomeric sealant.